Join us this summer in the mountains of the Plumas National Forest for a “hike into the past!” The California Gold Rush of the mid-1800s was a very important and world-changing event. Out of it were born many great (and not-so-great) deeds, legends, and…myths. One of the more famous myths is the story of Gold Lake, perpetuated by a man named Stoddard. Around May of 1850, he appeared in Nevada City and claimed to have found a lake, along the shores of which he discovered large chunks of gold. Of course, burning with “gold fever,” a large number of people (some 25) instantly organized a party to prospect the lake. These were later followed by another 500-1000 men, who also wanted to prospect this rich lake. After wandering around the high elevations of the Sierra Nevada Mountains for some time, they eventually realized the fabulous lake did not exist and abandoned the search, opting instead for rich placer deposits along Nelson, Poorman and Hopkins Creeks. Nevertheless, the myth led to the establishment of many small gold mines and mining towns, which sprang up due to these placer deposits. Most of these mines and boom towns were later abandoned, but left their marks on history and on the landscape. During this PIT project we will search for one particular type of “mark:” the cemeteries and isolated graves that were associated with the abandoned towns and mines. Volunteers will join Forest staff to help find and record the graves of pioneers who journeyed to California in search of gold. Work will entail surveying in mountainous Plumas County, where terrain can be quite steep and areas are often brushy. Once located, we will clear the graves of brush, plot them using GPS, photograph them, and create sketch maps and take detailed notes. 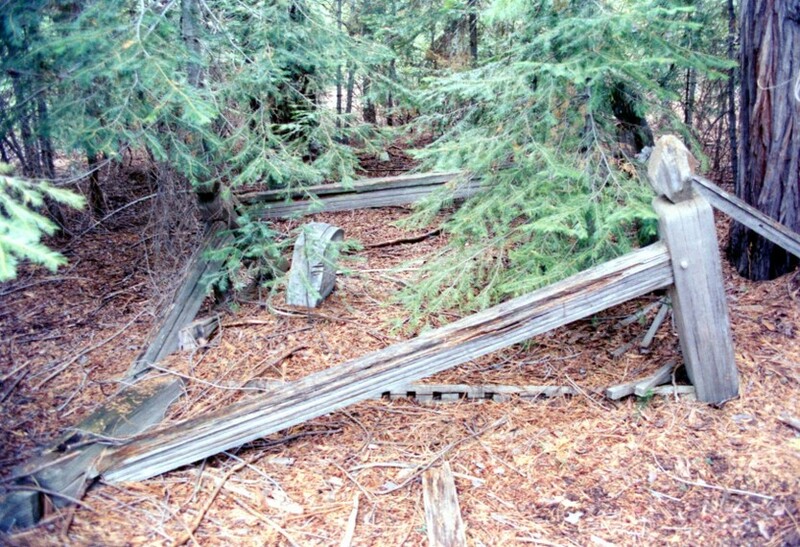 In addition to locating unrecorded cemeteries, volunteers will also help reconstruct fallen cemetery fences in the abandoned town cemeteries of St. Louis and Gibsonville near the survey area. This promises to be a very interesting and informative study, so we hope to see you in July!